Beautiful Incentives: The Oransi Bobby Wash Laundry ball Review & Giveaway! 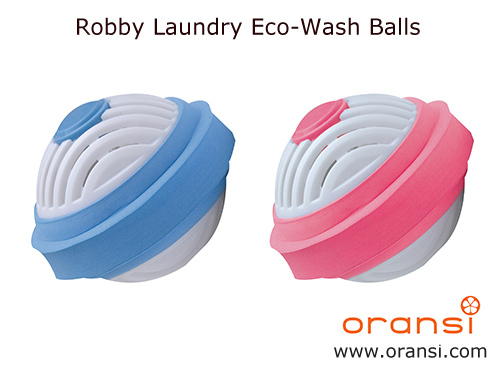 The Oransi Bobby Wash Laundry ball Review & Giveaway! I hate doing laundry and want to make it as simple as possible, which is why I love the Robby wash ball. It is incredibly economical and so simple to use, a child can do their own laundry or at least play a fun part in it. 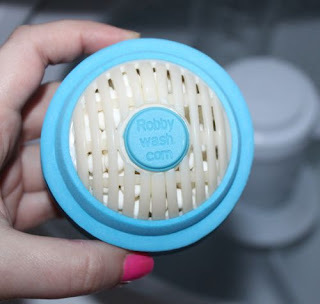 The Robby wash ball that I chose to review is the blue one, which works with hot and cold water alike. There is another pink choice, which only works with cold water. I do a lot more hot water washing with my linens and towels, so I wanted to kill two birds with one stone getting the blue. This ball is so simple to use, as it is already put together and ready to go. The directions state to start the washer and put your clothes in. Let them soak and get entirely wet, and then throw the ball in. Simple as that! 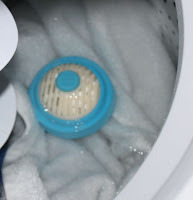 The scent to the ball is pleasantly fresh, but when you actually wash your clothes in it, you don't smell that strong scent when they come out of the dryer. I love that though, because I already have my own scented balls that I put in there instead of fabric softener. I'm big on simplicity and the least irritants involved, so I never use fabric softeners and save a lot of money doing so. Speaking of, I save a ton of money using the Robby wash ball instead of detergent. 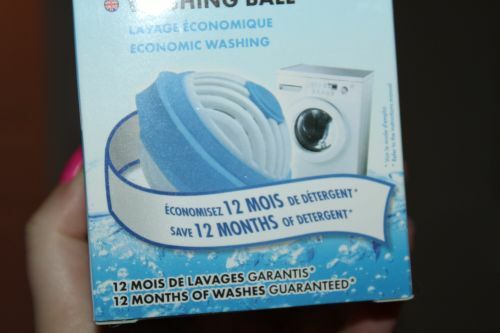 Think about the price at $32.95 for a ball that lasts..wait for it... 12 months or 120 washes! A full yr. Most people who use brand name detergents would spend that in 3 months or less, even with coupons. So this little work horse is highly economical and efficient. It got my clothes just as clean as any other detergent. I also love that fact that I don't have to lug heavy bottles of detergent. Right now, i'm the process of eliminating any heavy lifting in my life and this is one of a few life style changes that have really helped me. It comes with 3 bags to replace the current washing balls inside. It looks pretty easy to just twist open the ball and pour them in. 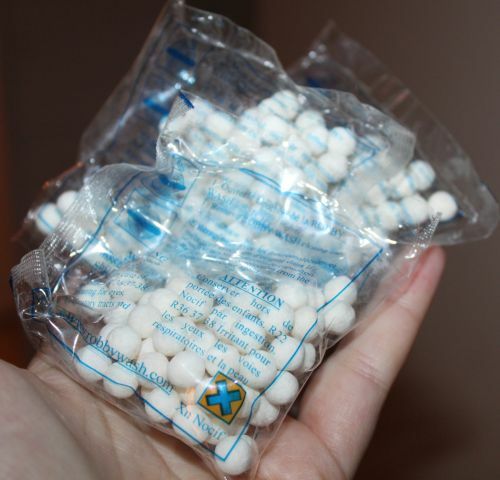 All you have to do is replace the balls every 4 months or when the level of pellets is less than 75% full. Make sure you mark on your calendar when you start using it so you can keep track! Just as you would with a water filter. The ball itself is supposed to last 2-3 years! 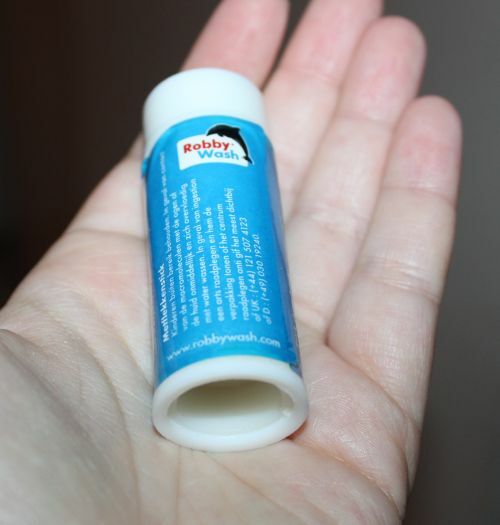 The Robby wash ball also came with a stain stick for stubborn stains that won't come out. I haven't used it yet, but if it's anything like how this wash ball works, it will be great too. Overall, I am a huge fan of the Oransi Robby wash ball and so far after several loads, I have not felt a need to change back to detergent. This is such a money saver! Hypoallergenic, great for those with sensitive skin and allergies. A perfect and safe choice for babies. Guards fabrics against oxidation and discoloration caused by chlorine in the water. Eliminates unpleasant smells, with its antibacterial action. The Robby ball works with both front load and top load washing machines. There is really nothing not to love about the Robby Wash Ball and at the price it is offered, I will definitely be repurchasing! I'm excited to announce that one lucky person is going to win their own Robby Wash ball in their choice of pink or blue! This would make laundry so much easier. These look awesome! Thanks for introducing me to them! Cool, never knew there was something like this! What a neat idea! Thank you! I can't wait to see who the winners are! Love the EOH! My daughter is going to have a baby and will be using cloth diapers. I think this would be great for her to use when washing the baby's clothes.